Jacky Terrasson, the most widely travelled of all jazz pianists, is the “piano player of happiness”, according to Telerama magazine in France. He is an exhilarating musician, one of those who play their public straight to euphoria. Born in Berlin, of an American mother and a French father, he grew up in France, in Paris. He started to learn the piano when was 5 and after studying classical piano in school, he began to study jazz, in particular with Jeff Gardner. His encounter with Francis Paudras (whose movie, “Round Midnight”, tells the moving story of a lasting friendship with Bud Powell) will be an important part of his initiation in jazz. Jacky then leaves for the United States to attend the Berklee College of Music. In 1993, after he wins the prestigious Thelonius Monk Award, he begins touring with Betty Carter. He then decides to move to New York, where he still lives today. 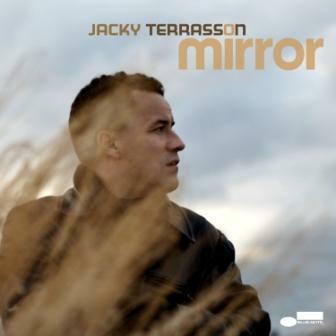 Exactly one year after his triumph in the Thelonius Monk competition, Jacky Terrasson was introduced in the New York Times Magazine as one of the 30 under 30, that is to say one of the 30 artists most likely to change American culture in the next 30 years, and signed with the prestigious Blue Note label. He made three first trio recordings for Blue Note (Jacky Terrasson, Reach, and Alive). He then devoted himself to several collaborations: “Rendezvous”, with Cassandra Wilson, and “What it is”, with Michael Brecker and Mino Cinelu. Beginning in 2001, he records “A Paris” for Blue Note, a very personal interpretation of classics of French song; “Smile”, (winning him Best Jazz Album of the Year, 2003 Victoires du Jazz and a Gold Django), and finally a solo album, “Mirror”. This Franco-American national has never stopped dazzling us, either by his prestigious collaborations, with greats such as Dee Dee Bridgewater, Dianne Reeves, Jimmy Scott, Charles Aznavour, Ry Cooder… or with his minimalist and energetic music hammered out with drummer Leon Parker and bassist Ugonna Okegwo, in a trio that was considered one of the best jazz trios of the 90s. And this intuition, this instinct, this openness, leads him to the discovery of the great burgeoning talents of his many groups (talents such as those of Eric Harland, Ben Williams, Jamire Williams, and Justin Faulkner). 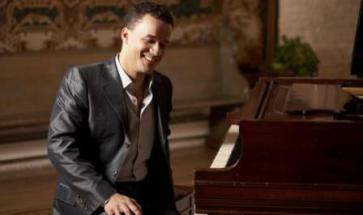 In February 2012, Jacky Terrasson signed with Universal Jazz France. His first recording, “Gouache”, will appear in Fall 2012, and it is a joyous celebration of his 20-year career. In this recording, he is surrounded by the pride of the upcoming New York jazz generation, but also by Michel Portal, Stéphane Belmondo, Minino Garay, and singer Cecile McLorin-Salvant. He performs regularly in solo and in trio in the great jazz festivals (Montreal, San Francisco, Montreux, North Sea Jazz, Marciac); and in the most prestigious Piano festivals (Klavier Ruhr Festival, Lucerne, La Roque d’Anthéron, Piano aux Jacobins). He also plays regularly in Asia, mostly in Japan, South Korea and in China, in Europe and the United States. If we were to describe his playing, we would compare Jacky Terrasson to Bud Powell for his carefully controlled velocity on the piano keys, to Ahmad Jamal for his sense of phrasing, but also for his knowledge of the great French composers savants, such as Ravel, Fauré and Debussy. Through his fingers, as he mingles and melts the colors and the inventions of the great pianists of yesterday and today, Jacky creates his own style, all in subtleties, freshness, facility and ease, with the desire to rewrite and reinvent, again, every day and forever. In 2015, Jacky Terrasson signed with the prestigious label Impulse! and released “Take This”. He is also the musical Ambassador for Krug’s Champaign and will tour worldwide for an unique journey and experience that pairs Musi and Champaign. In 2016, Jacky releases “Mother” on Impulse! with his long-time partner and friend, the trumpet player Stephane Belmondo. Pianist/composer Jacky Terrasson makes his Impulse! label debut with “Take This”, a sparkling new disc that captures the quintessence of his multifaceted musical makeup, which often draws upon modern post-bop, pop, hip-hop, European classical, and African and Afro-Caribbean rhythms and melodies. Terrasson enlivens the music with sleek improvisations, rhythmic fluidity and an impeccable touch – all of which have become hallmarks to his singular sound. He also ignites a rapport with his band mates that favors memorable and importantly meaningful musical dialogue over callow pyrotechnics, making Take This another welcoming musical adventure in Terrasson’s oeuvre. 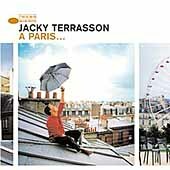 From the colours of the Caribbean to swing, from New York to the streets of Paris, from electric to acoustic and duet to quintet, this new album from Jacky Terrasson bubbles with life and energy, proving that his fieriness is still intact, and his appetite for music still entire. Two notable guests join him on this project, two French jazz figures with whom Jacky Terrasson has had nourishing exchanges over the years: clarinettist Michel Portal, his partner in many duet-concerts in recent times; and trumpeter Stéphane Belmondo. 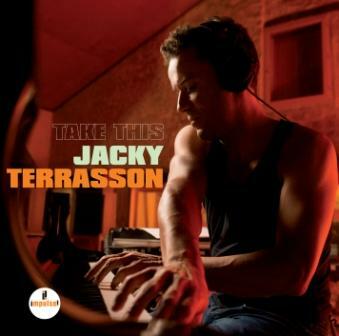 Jacky Terrasson’s new album features a new working trio that includes recent Thelonious Monk Competition winner Ben Williams on bass, Jamire Williams on drums and a handful of special guests . “It’s definitely a turning point for me,” says the Berlin-born, Paris-raised, New York-based master of the keys. “I’m with a new label, so that made it important to me to do things differently. I wanted another sound, and I wanted to explore what I’ve been going through personally over the last few years. There are different grooves, beats and vibe.” And like the album title suggests, the music is driven by an inherent thrust forward. Terrasson explains, “Push means to make things happen, to push into new directions. That’s what this album is all about.” Part of this advance includes the pianist making his vocal debut on two songs. “I know I’m not a singer,” he says. “But I’ve been hearing that in my head for years, so I figured why not.” He laughs and adds, “I pushed for it.” Push features seven new Terrasson compositions as well as a sampling of fresh spins on standards, including two Monk tunes and a Cole Porter beauty as well as a version of the timeless melody “Body and Soul” melded with “Beat It,” Michael Jackson’s Thriller hit. In jazz, the solo piano is an enormous endeavour. 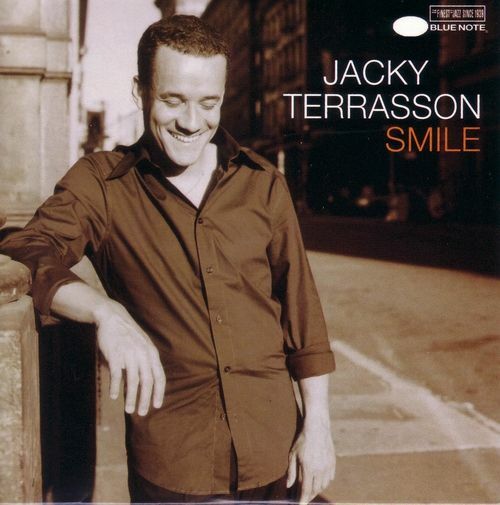 Six years ago, Jacky Terrasson prepared to record a solo CD; Jacky, the trio musician, the incomparable dancer on the keys of “Smile” (2002). He talked about it, he did concerts in trio and solo formation, prepared himself, postponed, time and again, the studio test. The examples are overwhelming: Monk whose “Thelonious himself” is probably the most beautiful one of all his records. Bill Evans, “Alone”, which makes you weep with emotion; and the Keith Jarrett, not that much his most well known, the “Köln Concert”, but rather the one before the last, “Radiance”, from 2002, masterful and inspired. at the spur of the moment. (…) Jacky, the New Yorker, with a French father and an Afro-american mother has jazz as his only country, his only culture, his unlimited love. (…) This record was worth its wait, for so many just feelings, of bearing, of musical truth. Such a beautiful solitude. After the outstanding success of ” A PARIS ”, one of the best-selling jazz CDs across Europe, pianist Jacky Terrasson is back with a new trio release, his eighth recording for Blue Note and his first trio session since 1997. Inspired by the Charlie Chaplin song of the same title, “SMILE” sets a new milestone in this musician’s career. Jacky, who is of French and American origin uses all his cultural influences with ease and charm and achieves a beautiful musical amalgam… generous, lyrical, emotional, sensitive and sometimes tongue in cheek, the music reflects the qualities that make Jacky Terrasson one of the outstanding jazz musicians of his generation. One of the biggest young talents of jazz, and also one of the most joyful musicians gracing our planet, has accomplished recording a set of songs that has been one of his pet projects over the last few years—a whole album dedicated to French melodies. “I have grown up with these melodies”, says the Franco-American pianist: “I have been wanting to link up with French culture because I really have one foot on each of the two sides of the Atlantic. Many artists have recorded some of these melodies, but few have had a whole album out—and I wanted this to be a jazz album”. “La Marseillaise” interpreted by Jacky and his musicians, “Que reste-il de nos amours”, “Jeux interdits”... but also some of Jacky’s own compositions in a very French vein make this new release a musical pleasure not to be missed (web site).